At Coca-cola head office , we have installed Lexan® Solar Control IR sheets, in order to help their green building reduces its electricity used for both lighting and air conditioning. 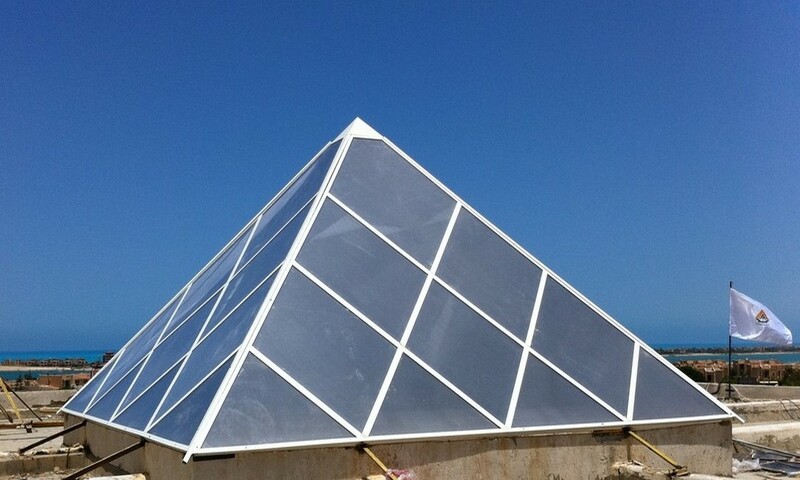 At Marina official governmental building, we have replaced their existing ceiling with an original small size of ``the great pyramid of Giza``. That should fill the place with positive energy, and make a better overall ambient environment. 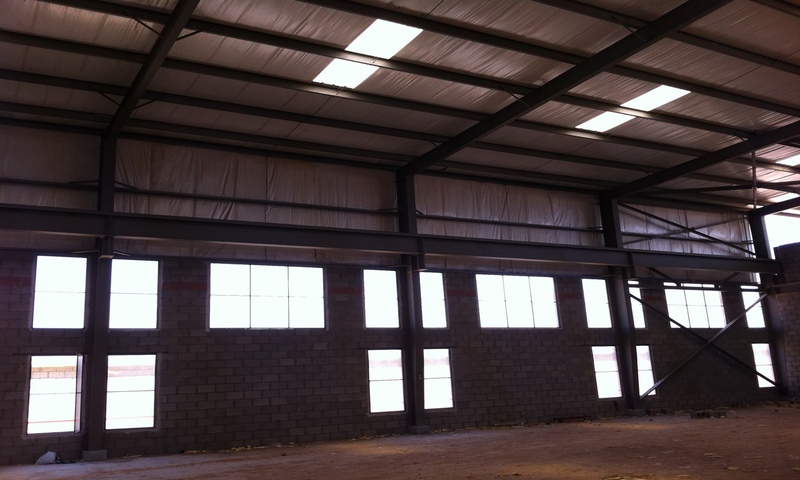 Factories windows are usually exposed to potential breakage, Lexan® will keep the sunlight in but with way more safety considerations. 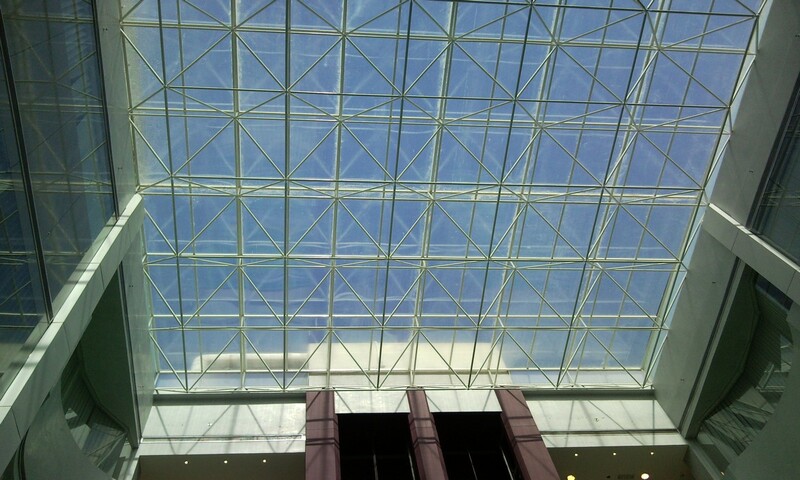 At Marina official governmental building, we have replaced their existing ceiling with an original small size of “the great pyramid of Giza”. That should fill the place with positive energy, and make a better overall ambient environment.